Dark chocolate is good for your heart. It helps by lowering blood pressure and reducing cholesterol. Chocolate contains flavonoids which help protect your body from environmental factors. 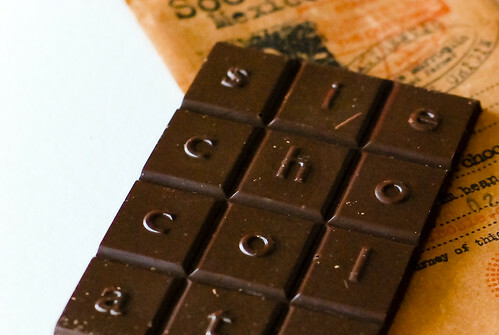 Want to learn how Hershey’s makes chocolate? Watch the video on their website here. Greens are a super food, full of nutrients and fiber. Getting enough greens can be difficult but there are sneaky ways to get them in. Here are a few tips to help you get them into your diet. One way I like to incorporate spinach is with pasta. You can do this by boiling your pasta as directed and, in the last minute, toss two big handfuls of spinach into the boiling water. When you drain the pasta the spinach will be mixed in already. You’ll be surprised how it cooks down. This way you can get two cups of spinach into your meal without really noticing. You can top with sauce as usual. Adding fresh basil will help add flavor as well. Another way to get spinach into your diet is with green smoothies. You can read about how to make them in my post here. Don’t let the green color turn you away. You don’t taste the spinach but your body will get all of the good stuff. Add greens to an omelet. A great way to get vegetables in at breakfast time is to make an omelet with veggies. Saute mushrooms, onions, peppers, spinach, broccoli, whatever vegetable you like until they are lightly cooked and place in the middle of your omelet with your cheese. Mix spinach in with rice. Similar to the pasta idea, add spinach to cooked rice. The steam from the hot rice will wilt the spinach. Use vegetable broth to cook the rice and add your favorite seasonings. Mix dark greens in with your salad and try to eat a salad with dinner everyday. Make it your mission to mix up the toppings and dressings. Keep your salad options fresh and it won’t be a chore to eat them. What are your favorite ways to add greens to your diet? I’d love to hear your tips and suggestions. This is a recipe you can go to when you have vegetables to use up at the end of the week. I take whatever I have left over, like a few servings of steamed broccoli or green beans, and mix it in with the base of this recipe. It’s based on a recipe from the Food Network. In a large pot, melt the butter and flour over medium heat to create a roux. It will start to brown. Add mushrooms, onion, garlic, garlic powder, cayenne pepper, milk and broth. Cook until the mushrooms begin to shrink in size. Mix in the vegetables, 1 cup of cheese, and rice. Add salt and pepper, if desired. In a greased 13 x 9 baking dish, spread the mixture out evenly. Bake in the oven for 20 minutes, until the cheese is bubbling and brown. How would you like to wake up to a steamy hot bowl of oatmeal? This recipe is a slow cooker version of the Brunch Oatmeal Bake and is extra easy to make the night before. It’s also versatile so you can change up the ingredients with what you have on hand. Rub coconut oil along base of the pot to help prevent sticking. Combine all ingredients in the slow cooker and give a quick stir. Serve with milk, walnuts, a sprinkle of brown sugar, or whatever you prefer.